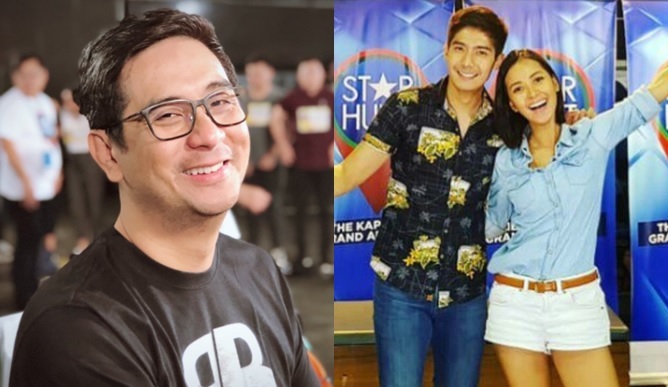 MANILA, Philippines - The hunt for Star Dreamers is not yet over as ABS-CBN recently announced the schedule of auditions this May 2018 for the upcoming seasons of eight (8) TV programs, including the reality show "Pinoy Big Brother" (PBB Season 8) and "The Voice of the Philippines" singing competition. L-R: Pinoy Big Brother (PBB) director Lauren Dyogi, hosts Robi Domingo and Bianca Gonzalez. Aspiring artists can also audition for "I Can See Your Voice," "Tawag ng Tanghalan," "Dance Kids," "Pilipinas Got Talent" and "Little Big Shots." The first run of Star Hunt saw around 20,000 dreamers in the grand audition caravan held at the Araneta Coliseum on April 20 and 21. This time, ABS-CBN moves closer to potential auditionees in the provinces for a three-day event. The first day is dedicated for the TEENS (13-17 years old), Day 2 for the ADULTS (18 years old and above) and the last day for the KIDS (3 to 12 years old). NOTE: Online registration for BATAAN audition is now OPEN! Register at starhunt.abs-cbn.com and choose your schedule. NOTE: Additional regional dates are also expected to be announced. Direk Lauren Dyogi also said that there will be an online audition for global aspirants. Stay tuned, dreamers.